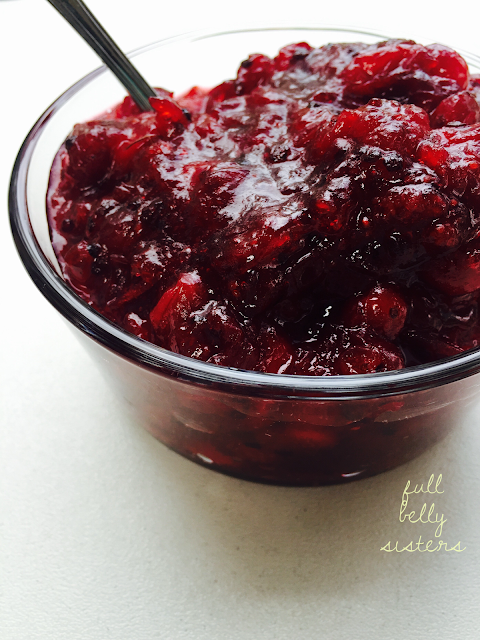 Looking for a crazy easy fresh cranberry sauce for the holidays? 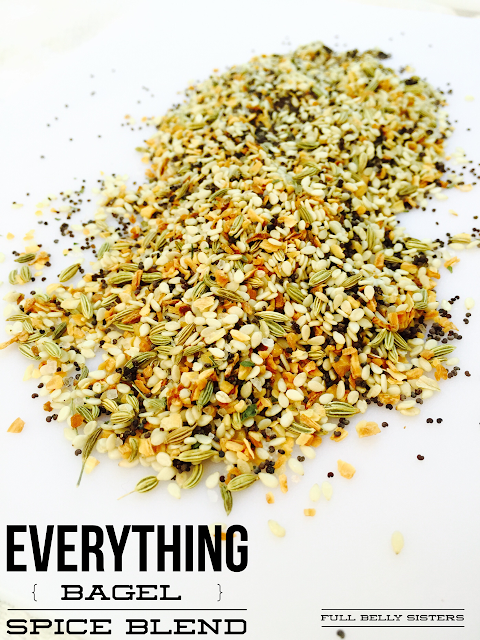 This recipe is all you need! Just a few wonderful ingredients combine to become a showstopping holiday side dish. I'm a little obsessed with cranberries and totally hoard them when they're in season. I love them in smoothies, I love them sugared, I love them roasted. And sometimes I love them in a classic cranberry sauce. This version is incredibly simple and tastes amazing. Combine all ingredients in a medium saucepan. Bring to a boil and then reduce to a simmer. Cook, stirring periodically, until the berries have burst and the liquid has thickened to a syrupy texture. It should take about 20 minutes. Spoon into a serving dish. Cool to room temperature before serving. 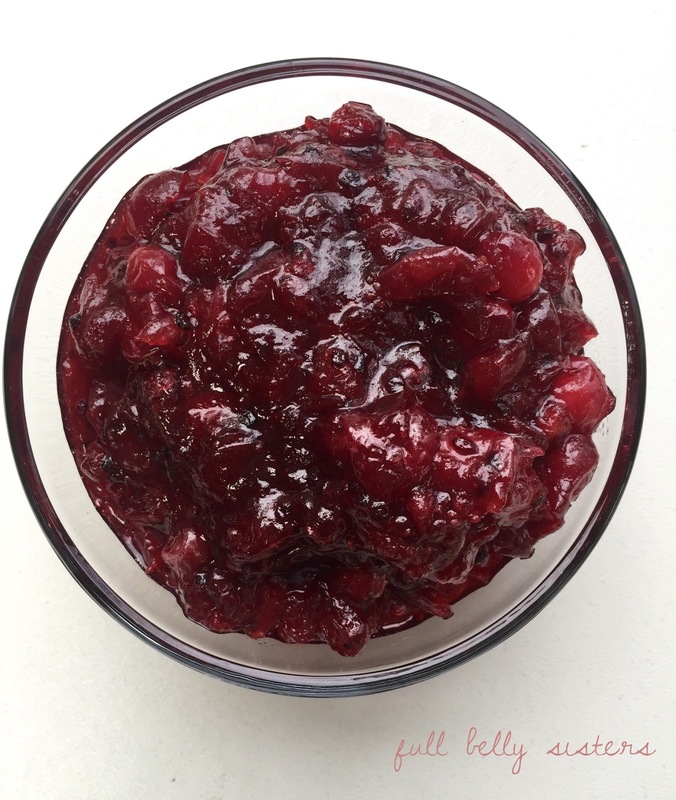 This crazy easy fresh cranberry sauce would surely be a hit alongside some turkey and stuffing at Thanksgiving dinner. But how about serving it over a bowl of vanilla ice cream? Or poured atop a log of goat cheese? Or spread on a grilled cheese sandwich? Or spooned onto French toast? Or in our phenomenal Greek Yogurt Cornbread Cranberry Trifle! Cranberries are more versatile that you might think. And they're positively packed with antioxidants, so adding cranberry sauce gives a nice nutritional boost to just about any dish. Don't forget how great they are for you during pregnancy! Thanks, hope you give it a try! i'm going to make this this year! Yay, let us know how you like it! The cranberry sauce has me salivating! Looks delicious. This easy fresh cranberry sauce is exactly what I've been looking for, just 2 basic ingredients and a delicious sauce is born. During holidays easy recipes like this one are life saviors.